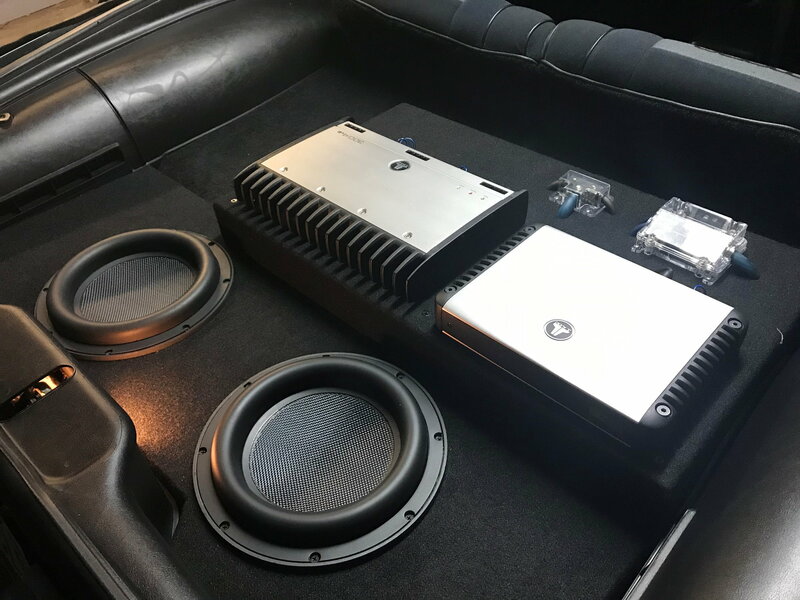 I have a Delco-Bose head unit using the front speaker outputs to a Rockford Fosgate Punch 150 driving two pairs in parallel of Polk 4-ohm speakers (6.5" separates up front, 4x6 2-way plates in back). The system sounds great but I would like to add some more bass to help relieve the low frequency stuff and hopefully get more overall clean sound out of the system. I have a Bazooka dual 4-ohm coil 10" passive tube. I hooked it up 4-ohm single coil bridged across the setup and it sounds ok but muddy. Much cleaner without it. I have another Punch 75 amp I could bring into the picture and perhaps use the rear channel outputs from the head unit, or just split the current audio signal. Re: Recommended way to incorporate a subwoofer? Did you ever try to use the head units rear speaker outputs ?? If so: did it sound different ? I have not . If I make up the harness and give it a go, I will let you know. I'll A-B it. Front vs Rear. I did notice fading the front out only seems to muffle it. It does not go to zero output. Are you insisting on keeping the stock head unit? Man it's been a long time ago, but I'm near certain I put 6.5" speakers where those 4x6 speakers were. I know you didn't ask, but if that's an option, when you run two of the size sized speakers in parallel you can increase the bass output a good bit. Right now you're probably having to cut down the bass frequency adjustment to keep the 4x6s from popping. That is unless you're already running a capacitor in line to the 4x6s. If not a 250uf cap on each side of the positive wire going to the 4x6s would cut 160hz by -6dB and would let you get the most out of the 6.5" up front (able to increase the bass frequency adjustment). They're $7 plus shipping. You shouldn't have a problem running another amp off the rear output giving you a front fade to the 6.5s and 4x6 and rear fade to the sub. It's not recommended to only run one coil of a dual coil sub. You really need to run a low pass filter so the sub won't play higher frequencies. Harrison Labs make some inline RCA filters. I've never used them but know a couple people that have and they seem to work fairly well, but tend roll off a little higher than the advertised frequency. I'd think you would need a one of their 100hz filters for around a true 150hz roll off. They're $26 at PE. Should be around $40 for both the caps and the crossover shipped and should make a big difference. Now; It's common knowledge that on a factory BOSE system the sound for any speaker is determined by the AMP driving it. 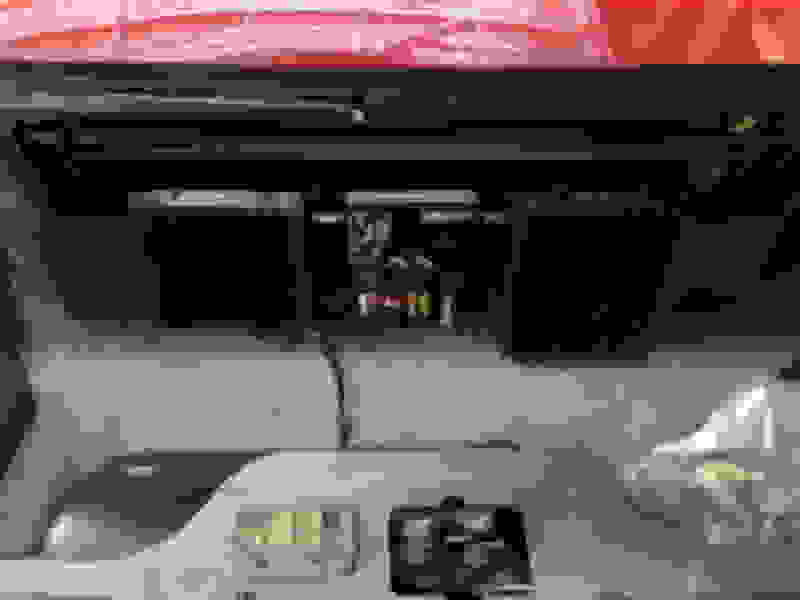 I was rebuilding some BOSE Amps last week and had a BOSE system set-up for testing purposes. I used the same Delco radio as your head unit,.... Camaro/Vett BOSE cassette. It's only got FADE control and - as you describe - the head unit doesn't entirely "kill" the sound from the front or back when fully adjusted one way or the other. ( that's normal with BOSE ). There is a (normal) tremendous amount of difference in sound from LEFT to RIGHT. 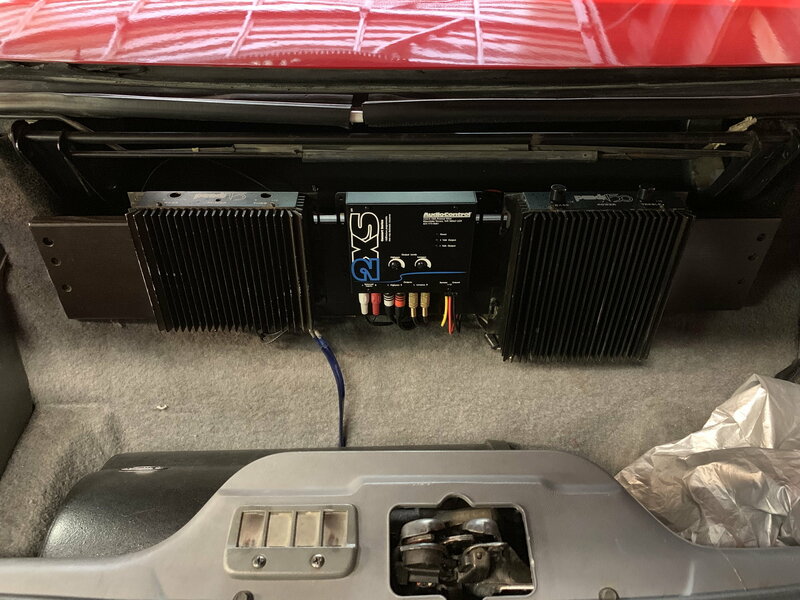 But I wanted to know if the front and rear output the same sound or not,...... so I placed the exact same type of speaker on the RIGHT Front and RIGHT Rear plugs and used exactly the same type of AMP to power each speaker. ( 4" full range Speakers each with it's own 100watt GM BOSE AMP. ) When comparing the sound there wasn't much of a difference but I DID notice a difference. I had to listen for a second - but after switching from front to back....... The "highs" such as - cymbals - were more pronounced on the FRONT channel. Before diving in and re-configuring things in a big way,...... try just taking the signal from the rear channels first and see what you think. Are you asking for recommendations for where to put a sub and amp? Or recommendations for an amp or something else? Looking at ways to connect up a sub with the cabin speakers so that the sound is proper and not muddy. Right now I have a Punch 150 connected to a Delco-Bose. Sound is clean but can get muddy at higher levels. The 150 will routinely blow 20A fuses so I know it's getting good power. It's running a front set and a rear set, all in parallel (2 ohms). When I bridge the sub across it, it's too much load plus the sub has no crossover. From what I see, I think an electronic crossover is needed. I will also throw my Punch 75 in as well and likely use that to drive the sub. Or maybe I can just ditch the rear speakers. They are Polks. The fronts are 6.5" 2-way separates with a passive crossover. I got the 6.5's into the doors and sound prepped them. They make nice bass but for the sound levels I want, I need to free them up from the lowest frequencies and let the sub handle it. I'd suggest SOME sort of signal processor. I'm running the Clarion EQ746. ...I've used it with two different radios...a Delco BOSE and an aftermarket pioneer. With the EQ it made a phenomenal difference in clarity and sound quality. Last edited by Abubaca; 02-11-2019 at 08:28 PM. That's the kind of affirmation I'm looking for. I'll check that out, thanks. I went with the AudioControl 2XS electronic crossover. I'll be adding the Punch 75 in to separate the sub from the main speakers and drive it with that in parallel 4 ohm coils. I'll report in how it goes. Good deal, that 2XS is a nice super clean piece of equipment and will complement those old school punch amps well. I'm sure you'll be very pleased with the results. Looking forward to it. Thanks for the help. I wonder if my stock alternator can keep up. I'll be pulling almost 50 amps at full juice. Pretty sure the stock TPI alternator is 105amps so you should be fine. Might want to check out this link for info on what gauge wire and fuses you'll need to use. You might not have to do a big four upgrade, but if your lights do dim at volume, that usually takes care of that. 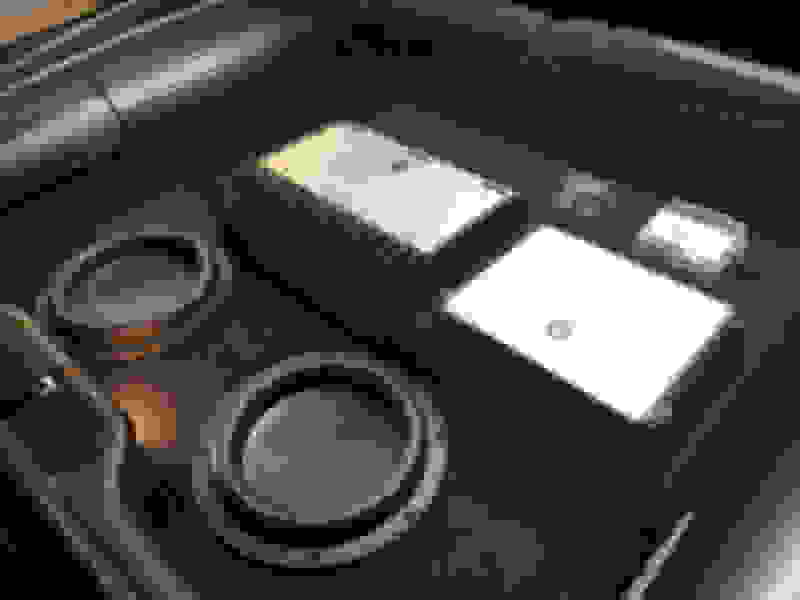 You would need at least a 4 gauge positive wire running from the alternator to battery, 2 gauge ground strap from the alternator to frame, 2 gauge ground from the battery to the frame, and at least a 4 gauge from battery to body. Thanks! I am going to go for the pulley and the cables. Rockford stuff is great. I had the turtle shell looking RF dsm amps back in the late 90s. They had a link you could install between the amps to make it look like one huge amp. ah - the good ol days. I threw one of these in the trunk. liked it because it's small, low profile, and can be easily hidden. has a built in amp. it's 150w. and i didnt have to change the stock alternator to power it. did change the head unit to a modern day one. granted, you're not going to get as much bass as dedicated 12" subwoofer(s) and amp, but it's pretty good for it's size. 2-10" Dayton Ultimax subs powered by a JL amp, custom enclosure. The Punch 75 is driving the passive 10" Bazooka sub (dual 4-ohm voice coil paralleled for 2 ohms load) bridged mono to the amp off the low pass output (33Hz to 90HZ) of the 2XS. The Punch 150 is driving front separates in parallel with the rears for a 2 ohm 2 channel load off the high pass (90hz and above). They are some old amps but they still put it out. I'll touch them up later and finish tucking the wires in. Last edited by Tootie Pang; 02-24-2019 at 09:20 PM. Looks good, those amps are gonna get toasty in there you may need a little ventilation in that trunk area. Thanks. I'll keep an eye on them. So far, they barely warm up. Got it all dialed in. Needed to lower the crossover to 70hz from 90hz. The cabin speakers- front 6-1/2" Polk separates (in door and dash) and rear 5x7 get everything above 70hz. The sub gets everything between 70 and 30. Man this thing goes loud and sounds great for all kinds of music. All I adjust is the bass slider on the old Delco-Bose head unit. It goes from about the middle (heavy bass tracks) to max (Van Halen, 80's pop, etc). Amps just get warm, that's it. Dude; Come nice weather you've got to post of video of this system 'in action' ,......... Nice work ! Thanks John. Head unit works flawlessly! Can you keep an eye out for a Delco-Bose badge for the front of the head unit? If you recall, the previous owner of mine had some strange and pretty extensive rubbing wear on it. I'd love to show it off again. Thanks again, great work on the HU! Wheelbase and track changes, how to incorporate into the body? speakers, 3-way, 4-way, 5-way?!? someone help! How to incorporate a fan turn on switch?? Quick Reply: Recommended way to incorporate a subwoofer?